Easy to make Raspberry or Strawberry Party Punch recipe for a holiday party, baby shower, birthday party, or wedding. 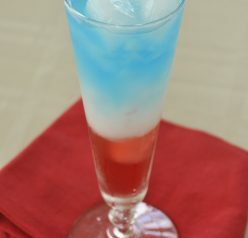 This comes together quickly and is made with only three ingredients: red Hawaiian Punch, Sprite, and sherbet. This is addicting! So I have been making this lime sherbet punch for every single special occasion. As much as I LOVE that punch and I think it’s the best punch in the whole world, sometimes I realize variety is good. I’m teaching myself to like change once in a while! I’m glad I switched things up and tried this red strawberry party punch for my Groundhog day party last month (if you’re just tuning in, then yes, I celebrate Groundhog day!). This punch is so easy to make and a really pretty color to boot! Also, to make things EXTRA fun, I lit up the punch with submersible decorative LED ice cubes. Everyone always goes crazy over them! You can make them flash all different colors or choose from a variety of colors to have them stay on for the duration of the party. I set the ice cubes to light up the punch red since this was a strawberry party punch. It was so pretty. I wished I got a photo of it once it was dark in the kitchen, but you can see what they look like here on Amazon). These things are awesome! I couldn’t keep the bowl filled up and I got many compliments on this punch. 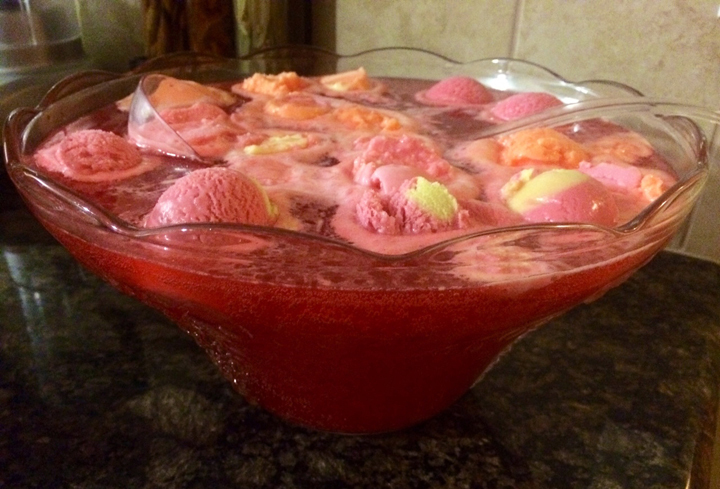 For your reference, there were about 25 people at the party and I filled the bowl twice and that was perfect. Enjoy! Light the punch up at night with LED ice cubes (link in post above)! You can put them on the red color setting or have them flashing different colors. Everyone will love them! Easy to make Strawberry or Raspberry Sherbet Party Punch recipe for a holiday party, baby shower, birthday party, or wedding. Pour in fruit punch and lemon-lime soda over the sherbet. I haven’t had fruit punch in years but always enjoyed it. Even though it’s a sticky mess when it spills on the floor , and it always does it’s tasty stuff. Your recipe sounds Delish! What a fun idea for a party punch! 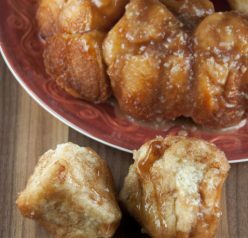 What a wonderful punch that is also kid-friendly! I might have to serve your punch this summer when we have our annual cookout (and maybe have a spiked version for the adults… heh heh). I love these kind of punches but it seems like no one makes them anymore at parties. I might just have to make a mini version for me. 😉 This looks deeelicious! Oh yum! I love punch. :) This looks so good! Strawberry Punch sounds wonderful, especially for Spring! I had no idea there were LED ice cubes. How cool! Ohhh I’ve never put sherbet in this punch! Love it! Oh, my gosh! Ashley, this strawberry punch of yours, with sherbet in it, reminds me of the punch my sister and I used to serve at our slumber parties! Such fun memories. 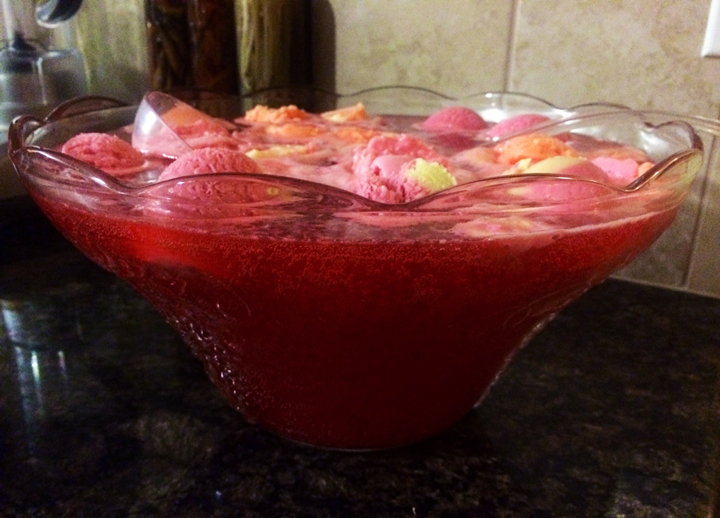 It is high time to break out the ol’ punch bowl and serve some up this spring and summer! Your LED ice cubes would be perfect for serving it out on the deck in the evening. Thanks for sharing! Loving this with rainbow sherbet. Happy Spring! I love this! My mom makes something similar for holiday parties, and the adults top their glasses off with champagne. Looks delightful and I love the idea of using light up ice cubes! Amazing! Its actually amazing post, I have got much clear idea on the topic of from this article. I have always added Ginger Ale to the Hawaiian Punch Fruit Punch along with the Sherbet. I could honestly sit and drink it all day. It’s not overly sweet. I agree! Thank you so much for the nice comment! I have been making this since the 60’s! It’s a hit everytime. I use the frozen Hawaiian Punch and raspberry sherbet. This sounds wonderful! 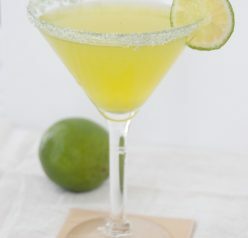 I make something similar but add Dole pineapple juice to mine also! Sliced strawberries and pineapple chunks would be good too!! Does Amazon sell a REALLY down to earth, step by step cooking, baking, air fry, cocktails, healthy snacks for adults & kids, also healthy dinners BOOK?? ?